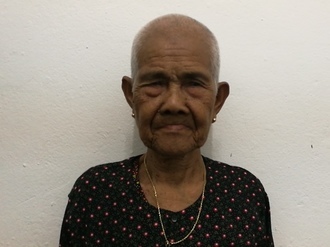 U Kyaw is a man from Burma who needs $1,500 to fund eye surgery. U Kyaw is a 44-year-old man from Burma. He lives with his his wife, three daughters, and a grandson in Karen State, Burma. U Kyaw is a soldier who lost his left leg when he stepped on a land mind five years ago. U Kyaw is unable to see in both his eyes. The doctor told him that he cannot restore vision in his right eye but he can help him with his left eye. Our medical partner, Burma Children Medical Fund, is requesting $1,500 to fund lens replacement surgery for U Kyaw. 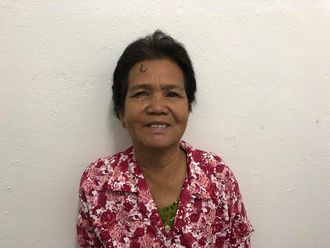 On March 26, doctors will perform a lens replacement, during which they will remove U Kyaw’s natural lenses and replace them with an intraocular lens implant. After recovery, he will be able to see clearly. Now, he needs help to fund this $1,500 procedure. 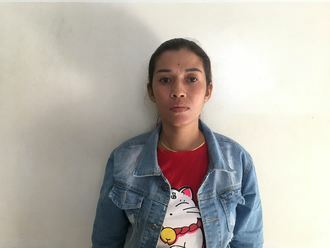 U Kyaw's case was submitted by Bridgitte Agocs at Burma Children Medical Fund in Burma. U Kyaw was submitted by Bridgitte Agocs at Burma Children Medical Fund, our medical partner in Burma. U Kyaw was scheduled to receive treatment at Mae Sot General Hospital. Medical partners often provide care to patients accepted by Watsi before those patients are fully funded, operating under the guarantee that the cost of care will be paid for by donors. U Kyaw's profile was published to start raising funds. U Kyaw is currently raising funds for his treatment. Awaiting U Kyaw's treatment update from Burma Children Medical Fund.